The Silvertone 1478 a welcome return of a classic guitar! Silvertone 1478 – The return of a guitar classic. Silvertone were, for a long time, the guitar of choice for novice guitarist as they produced well-made instruments which were relatively inexpensive. Originally a trading name of Sears, Roebuck and Company the Silvertone name has adorned guitars from 1915. Played by some of music’s most legendary guitarists including Jimi Hendrix, Bob Dylan and Muddy Waters, Silvertone were admired for their vintage styling and unique tone. But tastes change and Silvertone was seen as a little bit old fashioned and ugly compared to some of its rivals so for a long time fell out of favour. However, Samick Instruments have resurrected the brand and are blowing life into an old classic. Samick have launched a number of Silvertone classics but for me the pick of the range is the Silvertone 1478. The Silvertone 1478 is a true guitar classic. From its individual body shape to its pick-ups everything about this guitar screams vintage styling. 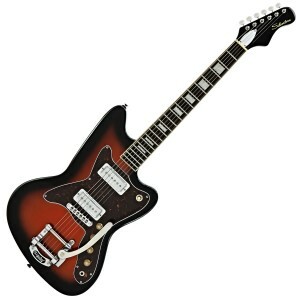 So if you are looking for the retro look the Silvertone 1478 could be the guitar for you? What does the Silvertone 1478 have to offer? The Silvertone 1478 features a solid mahogany body with a slightly squashed Strat appearance. The use of mahogany gives this guitar a solid, heavy feel to it but it is also a comfortable guitar to play. The neck is mahogany topped with a 20 fret rosewood fingerboard. The neck has a retro feel to it with a traditional C profile but it is great to play. Two Silvertone single coils and a Bigsby vibrato unit gives the Silvertone 1478 a real vintage look and sound. The vintage Silvertone 1478 was well known for having a unique sound which stemmed from the use of the SIlvertone single coil pick-ups. This gave the guitar a bright, punchy twang and none of this has been lost on the new Silvertone 1478. The guitar is fitted with two Silvertone single coil pick-ups which are selected via a 3 way toggle switch. Each pick-up has its own volume and tone controls allowing great onboard control of the guitars tone. Plugged in the Silvertone 1478 has an absolutely amazing clean tone which is bright and jangly. Crank up the gain a little and the pick-ups respond well with a good growl and excellent definition when soloing. This is never going to be the guitar for metal heads but sound-wise it has everything else in abundance. 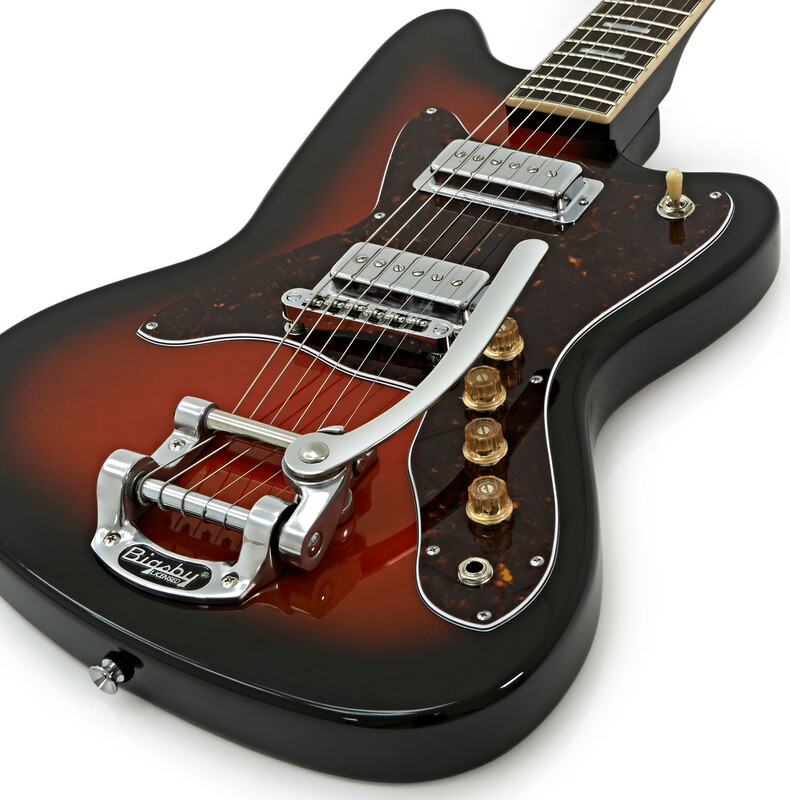 The bridge is a classic Bigsby style vibrato unit which allows for some gentle vibrato and pitch bending. To conclude the Silvertone 1478 is a great re-interpretation of a classic. The build quality is excellent and the sound is even better. If you are looking for a guitar with a true vintage pedigree but is extremely versatile then you won’t go far wrong with this instrument. If you like the retro look then check out the best deals at Gear 4 Music. Ibanez RG2228 – The Original 8 String!